The Inflexis system is the first to integrate the best features of enterprise Logical Management Software, biometric hardware tokens and flash drive storage into one homogeneous system. The system is easy to use and install. It provides central enrollment and deployment with existing passwords converted to a single fingerprint. 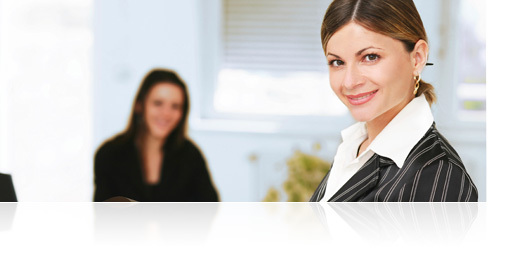 Have questions or want to learn more about Inflexis? We want to hear from you. Click here. The Inflexis devices have the processing power to perform all of the critical functions associated with authentication, data encryption and memory management, removing the most vulnerable sections of the authentication software from the client computer altogether. The Inflexis system is compatible with other systems and can be configured to meet the needs of your existing network credentialing system while adding biometric security management. Your organization’s critical data may be at risk. And a simple password is no longer an effective method of protection. The average user has too many passwords to remember and chooses either to write passwords down or uses the same password for every application. New approaches using biometric data, such as a fingerprint, to provide a digital identity are virtually impossible to steal. However, not every biometric system is created equal. And your data can still be at risk if identifying the individual and granting access is done on the client computer, which is vulnerable to methods that are well known by sophisticated hackers. In addition, a new problem has been created by the proliferation of flash drives that can easily be stolen or lost. Inflexis provides the first and only solution that eliminates these vulnerabilities by moving identification onto a secure USB device that integrates an authentication processor, biometric hardware, flash drive storage and enterprise management control into one homogeneous system. 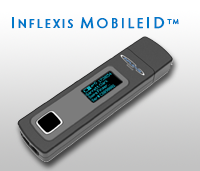 The key components of the system are the USB plug and play Inflexis devices that have built-in fingerprint sensors and audit trail capabilities as well as the processing power to perform all of the critical security functions associated with authentication, data encryption and memory management. This approach prevents hackers from using their current tools to analyze and interpret data on the PC or client computer. 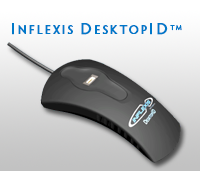 For use with a desktop computer, Inflexis DesktopID™ allows users to securely logon at their desk while the Inflexis MobileID™ has added functionality for users on-the-go, including a display screen, significant flash memory and secure encrypted storage that cannot be compromised if lost or stolen. The proprietary enterprise software provides the management, provisioning and functionality required to integrate the Inflexis device into the overall data security process. To get a maximum security solution that is easy-to-use, flexible to suit your needs and current systems, and cost effective, contact us today. Click here to download a complete list of technical specifications (.pdf). Copyright 2008-2018 © Inflexis, LLC. All Rights Reserved.